It’s nearing election season here in the US and what better way to celebrate the glory of government participation than sporting a t-shirt that exemplifies just that. 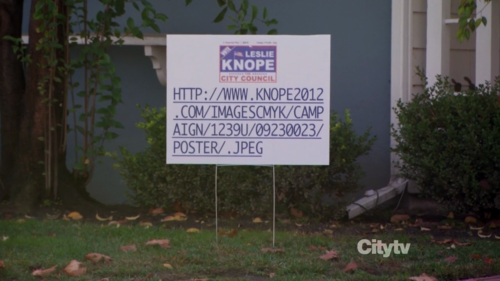 In fact, every year when election season comes around, I make a bunch of ‘don’t recall knope’ signs and place them right next to all the other political signs in my town, along with some of her campaign posters; it’s a great way to confuse people. As we can see this ‘don’t recall knope’ t-shirt from Parks and Recreation was worn by Jerry while showing his support for council-woman Leslie Knope. EDIT: A nice visitor has brought it to my attention that the shirt is no longer available. I have put some other Leslie Knope shirts in the link below!